Of course if the band isn’t on Spotify, you might also check out their MySpace page or listen to a clip on Last.fm. 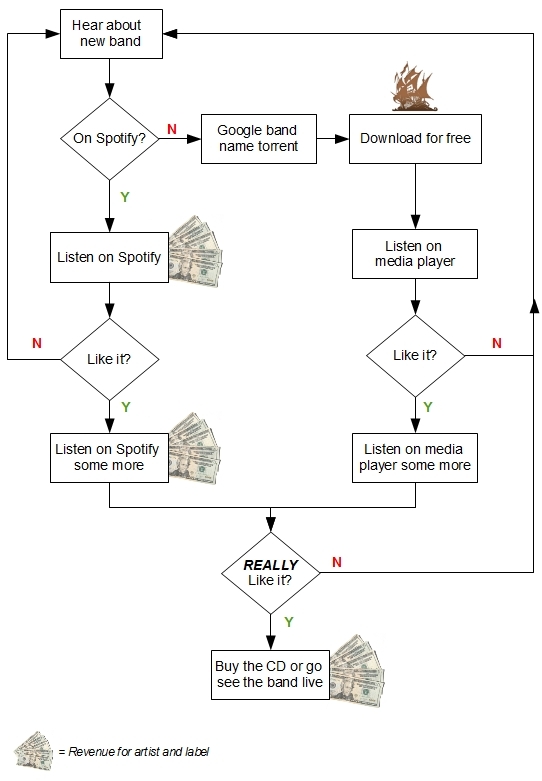 You may even decide to splash some cash on iTunes, 7digital, or even a CD. But you probably wouldn’t do this without hearing something from the band first (on the radio or MTV perhaps) unless you really really trust your recommendation source.